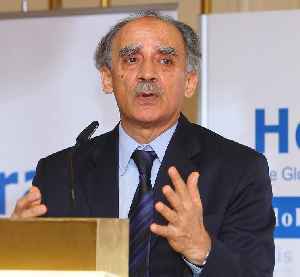 Arun Shourie is an Indian economist, journalist, author and politician. He has worked as an economist with the World Bank, a consultant to the Planning Commission of India, editor of the Indian Express and The Times of India and a Minister of Communications and Information Technology in the Vajpayee Ministry (1998–2004). He was awarded the Ramon Magsaysay Award in 1982 and the Padma Bhushan in 1990.